2104 sq. ft., +1500 in finished lower level, 2 bedrooms, a study, and 3 full baths. Living room has a cozy fireplace flanked by floor to ceiling windows and an adjoining dining area. Vaulted master bedroom suite offers plenty of closet space and a private bath with a garden tub. Finished lower level and sunroom provide even more living space. 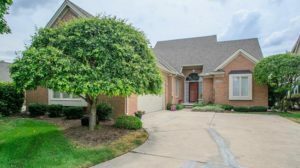 For more information or to schedule a showing for 1845 Stonebridge Drive N., contact Ann Arbor’s premier Realtors with The Bouma Group at 734-761-3060 or email info@bouma.com. 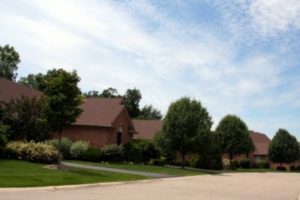 Learn more about the Stonebridge Heathers condo community here! In 2017, Stonebridge Heathers sold a total of 5 condos. The amount of sales stayed consistent, with 5 condos selling last year as well. Offers below the listing price were often accepted, making the process of purchasing easier for buyers. $435,000. 4980 Doral Dr., Ann Arbor. 2083 sq. ft., + 1000 in finished lower level, 4 bedrooms and 3.1 baths. $430,000. 4859 Dorsal Dr., Ann Arbor. 1740 sq. ft., + 860 in finished lower level, 3 bedrooms and 3.1 baths. $400,000. 1787 Stonebridge Dr. N., Ann Arbor. 2083 sq. 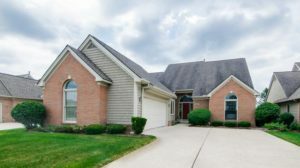 ft., + 300 in finished lower level, 3 bedrooms and 3.1 baths. $394,900. 1981 Stonebridge Dr., Ann Arbor. 1740 square feet with 2 bedrooms and 2.1 baths. $390,000. 1973 Stonebridge Dr. N., Ann Arbor. 1740 sq. ft., + 691 in finished lower level, 3 bedrooms and 3.1 baths. Currently the average sale price of condos at Stonebridge Heathers is $409,980, which is a decrease of 6.5% compared to the ASP in 2016. The average price per square foot for the 5 condos sold in 2017 is $220.00, which is a slight decrease in comparison to the A$/SF of $224.00 in 2016. For more details and information about Stonebridge Heathers, contact the condo specialists with The Bouma Group at (734)761-3060 or email info@bouma.com. View previous blog posts for Stonebridge Heathers here!